By visiting www.milagrofoundation.org/grantees.asp you can volunteer with one of the Milagro Foundation grantees directly. Click the “Show Grantees” button and then click the Grantee link of your choice. 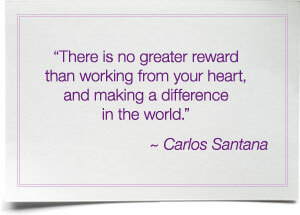 For more information about the Milagro Foundation, visit www.milagrofoundation.org.